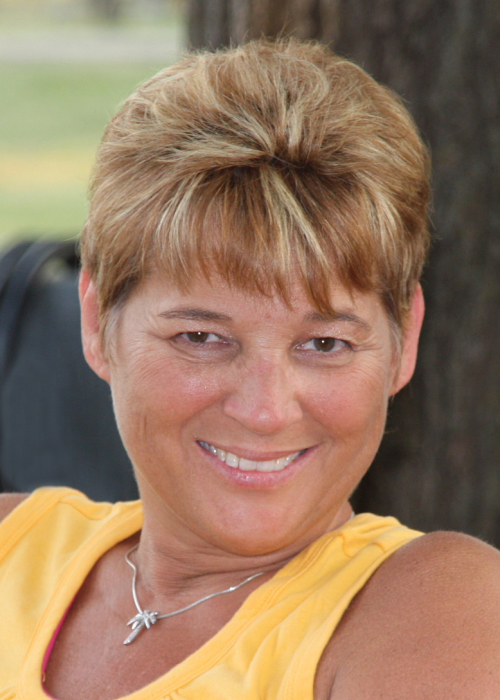 Lisa K. Bokelheide, 55, of Aberdeen, passed away Tuesday, March 19, 2019, at her home. Private family services will be held on Monday, March 25, 2019, at Schriver’s Memorial Mortuary & Crematory, Aberdeen, with Father Michael Griffin officiating. Family and friends may sign Lisa’s online guestbook at www.schriversmemorial.com. Lisa K. Geffre was born November 1, 1963, in Aberdeen, SD to Irvin and Mary (Maiers) Geffre. She was raised and attended school in Leola, SD until 1977, when she and her family moved to Aberdeen. Lisa completed her education in Aberdeen and graduated from Aberdeen Central High School with the Class of 1982. Lisa was united in marriage to Steven Bokelheide in Aberdeen on April 26, 1986. The couple made Aberdeen their home, where in addition to being a wife and mother to their two children, Lisa also held a 30-year career as a pharmacy tech with Shopko. Most recently she was employed with Banner Engineering, where she made several cherished friends. In her spare time, Lisa enjoyed reading novels, camping with family and friends, and attending family reunions. Grateful to have shared in Lisa’s life are her loving husband of 33 years, Steven P. Bokelheide of Aberdeen; her son, Sean W. Bokelheide and daughter, Sara L. Bokelheide, both of Aberdeen; siblings: Judy Easterday of Annapolis, MD, Jeannie (Larry) Schock of Aberdeen, Debbie (Eldon) Weise of Storm Lake, IA, Mary Lee (Travis) Crabtree of Mt. Dora, FL, Jack (Elaine) Geffre of Leola, SD, Bill Geffre of Lead, SD and Rick (Sonya Sherwood) Geffre of Pierre, SD; as well as many nieces and nephews. Lisa is preceded in death by her parents, Irvin and Mary Geffre.